Three unions join forces to form industrial relations powerhouse from NZ Herald, Tuesday December 18, 2007 By Simon Collins Three of New Zealand's most aggressive unions have agreed to merge into what will be the country's biggest private sector union. The Service and Food Workers Union, National Distribution Union and Unite Union will have a total of 54,000 members, about 7000 more than the Engineering, Printing and Manufacturing Union (EPMU). The EPMU spurned a Service and Food Workers request for a merger early this year, throwing it into the arms of the two smaller unions. The executives of the three merger partners approved the deal in principle last week. The new union, as yet unnamed, will be Auckland-based and targeted at low-paid workers in fast-growing service sectors such as retailing and hospitality where unions currently represent fewer than 5 per cent of all workers. Unite general secretary Matt McCarten, who has grown his membership five-fold in the past two years through a media-savvy "Supersize my Pay" campaign, said he wanted the new union to double its numbers within a year to easily surpass the country's biggest union, the 55,000-member Public Service Association. "It's not just about a union getting bigger. It's about getting the critical mass," he said. "I think what it will become is the catalyst to organise other unions around it with a campaigning union approach around social justice issues. "In my view I'd want it doubled within 12 months. The others all think that's ambitious but I think we could do it, easy. "I think workers don't have a problem with joining a union at all. What we need is the capacity to meet their needs - that's what has held us back." The new union will start with a combined income of $15 million a year. Mr McCarten has bolstered Unite's income through partnerships with Te Wananga o Aotearoa and the United Credit Union and is looking at new schemes such as a "union card" offering discounts with retail partners. He said the new union would offer "membership for life" which individuals could carry with them between jobs, and he hoped it would dedicate 15 to 20 per cent of its budget to supporting workers who were not members of any union. "I think workers will feel quite positive if they know that 20 per cent of their money goes to workers who are not in unions but need support, and after that they will join," he said. National Distribution Union national secretary Laila Harre said the union would start recruiting in high schools to give young people somewhere to get advice even before they signed their first employment contracts. "I hope we come up with a category of membership that every mum and dad will want to give their kids for Christmas," she said. The National Distribution Union and Unite have already waged aggressive campaigns in the supermarket and fast-food industries, abolishing lower youth rates in key companies in both sectors. Mr McCarten said he had offered the name "Unite" to the new combined union. The merger threatens a critical part of the Labour Party's union base, as the Service and Food Workers Union is currently one of just four full unions affiliated to the party and the second-biggest after the EPMU. The NDU and Unite, which together will bring in 31,000 of the new union's 54,000 members, are not affiliated. Service Workers national secretary John Ryall said the union's predecessors were founding members of the party in 1916 and the union was one of just two, with the EPMU, which stuck with Labour when the party swung to the right in the 1980s. "I think we played a large part in restoring Labour to its union roots," he said. "We want to make sure that affiliation is maintained. That will be something that will be determined democratically by members of the new union." EPMU national secretary Andrew Little, who represents union affiliates on the Labour Party council, said his union rejected the Service Workers' request for a merger in April partly because the two unions were then at loggerheads over an Air New Zealand proposal to contract out its ground services to a Swiss firm. He said yesterday that it would be "a huge disappointment" if the new union severed its links with the Labour Party. Five biggest unions 1. Public Service Association (PSA) 55,174 2. New union (SFWU/NDU/Unite) 54,241 3. Engineering, Printing & Manufacturing Union (EPMU) 47,158 4. NZ Educational Institute (NZEI) 46,000 5. Nurses Organisation 39,382 More workers sign up for united stand Union membership inched upwards last year to 18 per cent of the workforce - its highest level for a decade. Victoria University's annual survey has found that union membership grew by 1.4 per cent to 382,538 in the year to last December, a slowdown from growth of 6.6 per cent in 2005. Labour Department figures for March 1 each year, also made available to the Herald yesterday, show a similar trend - growth of 5.1 per cent in 2005-06 slowing to 2.8 per cent in the latest year to a total of 382,589 members. Both surveys show that rapid growth in union membership in fast-food and nursing in 2005, driven by the Unite Union's "Supersize my Pay" campaign and a 20 per cent pay rise for public hospital nurses, slowed down in the latest year. The latest figures have also been hit by a massive 25 per cent drop in union membership in the finance and insurance sector, down from 15,077 to 11,338 in the department's figures. Financial Sector Union campaigns director Andrew Campbell said this reflected both a shrinking workforce, with fewer branches and more internet banking, and a "hostile stance" towards unions by the major banks. "We recruited more new members last year than in any year, certainly since the Employment Relations Act ," he said. "Unfortunately we lost more than we gained due to the high levels of turnover." On a national basis, the figures also suggest the unions have been running fast to stay still. The university survey shows they have raised membership by 80,133, or 26 per cent, since their low point in December 1999, just before the Employment Contracts Act was repealed. But in the same period the total workforce has grown by 17 per cent, so the unions' share of the workforce has risen only slightly, from 16.7 per cent to 18.1 per cent. Whanau, friends, comrades and fellow inquirers. My aim this evening is to re-state the case for trade unionism in Aotearoa in the 21st Century, to review the struggle for union relevance in the 20 years since labour market deregulation took hold in New Zealand and to present some challenges, and dispense some advice, to a few key players – unions, employers and policy makers. I want to demonstrate why union efforts to give workers a voice and to build workers’ collective power matters. And why all of us should care greatly about how well unions do. There being a paucity of public discussion on these matters I do this with some trepidation. It is a mixed blessing to be given the privilege of this platform on this subject and I take it seriously. Given the approach our friend, mentor and comrade, Bruce Jesson, in whose memory this annual lecture is delivered, took to his intellectual duty I suspect I am more likely to be accused of being too careful than too cruel. Perhaps that is a product of the times in which we find ourselves renewing unionism. As the late Moss Evans, General Secretary of the Transport and General Workers' Union in Britain is reported as once having said, "When I look in the mirror when I am shaving I don't see the face of a man who will bring down capitalism". Of course like your typical union member today, I don’t get to first base on this one. I’m female. But as Evans was observing, while the ordinary work of unions has remained unchanged over a century – to organise around workers’ demands for better pay and conditions, a voice at the table and protection from unfair treatment at work - the decades have blurred their strategic purpose. If union’s relevance were to be measured by union membership numbers then we have to advance from the premise that our relevance can no longer be assumed, at least from the perspective of a majority of workers. Since 1991 union membership has fallen from 50 per cent to 22 per cent overall. As few as 12 per cent of private sector workers are now union members. Of course the likes of Business Roundtable’s Roger Kerr concludes from the fact that “Only one worker in five now belongs to a union in New Zealand; [that] most want to be treated as individuals rather than as parts of a collective ‘lump of labour'.” (http://www.nzbr.org.nz/documents/articles/articles-2004/040122yeahright.htm). A much more likely explanation is found from the context in which choices to join, or not join unions, are offered to and made by workers. Evidence provided in the 2003 New Zealand Worker Participation and Representation Survey and reported by Boxall, Haynes and Macky in the recently published and invaluable comparative study “What Workers Say” suggests that lack of access to unions is a primary factor in low union density. If actual membership were combined with the number of workers who say they would join a union if there was one in their workplace potential union membership reaches 36 per cent in the private sector and 60 per cent in the public sector, or nearly 40 percent overall. That is not such a distance from the 50 percent achieved under compulsory unionism, and this despite the enormous barriers erected in the 1990s between workers and unions. That’s the good news. I’ll come back to more of those numbers in a bit because who those potential union members are and where they work presents us with our greatest organising challenge. What the unmet demand for union membership tells us is that something has driven a wedge between workers and their desire to express a collective voice through unions. The first culprit is the industrial relations framework itself. From the 1894 Industrial Conciliation and Arbitration Act until the 1991 Employment Contracts Act industrial relations legislation recognised unions as the primary representatives of workers when it came to the settling of incomes and other working conditions. Unions had a statutory role in the negotiation or arbitration of industry and occupational collective agreements, ‘awards’. Awards provided for comprehensive minimum terms and conditions of employment binding all workers and employers in an industry or occupation. A system of ‘relativities’ operated between awards. This meant that gains made through collective action by well-organised and strategically located groups of workers influenced the outcomes for others. However the relationship of the well-organised core to the apparently dependent remainder of the unionised workforce was not one of host to parasite. At the risk of appalling any classical scholars among you, it perhaps could be said to more closely resemble the more complex relationship of sultan to harem. In No Left Turn (p 175) Chris Trotter describes how the introduction of compulsory trade union membership by the first Labour Government saw “tens of thousands of formerly unorganised workers [pour] into the hitherto tiny unions set up to represent clerical workers, hotel workers and shop assistants. The new ‘conscript’ unionists were the key to power.” Chris’s context is the internal factionalism within the labour movement of the day. But at a movement level these so-called “conscripts” and the direct interest they had in the outcome of union struggles through the system of relativities was an important factor in legitimising those demands and the industrial action taken in support of them. The Employment Contracts Act in 1991 abolished the award system in favour of direct wage and conditions bargaining between employers and individual workers. Individual bargaining could be aggregated at an enterprise level but could not occur across an industry or occupation without the agreement of each employer. Industrial action to get that agreement was illegal. Compulsory unionism disappeared with the awards. Union organising rights, including rights of access to workplaces for recruitment were removed. The word ‘union’ did not appear in the legislation, which reduced us to ‘bargaining agents’, a role that did not require any democratic workers’ organisation and was shared with all manner of groups and individuals, including private sector consultants facilitated and even paid by employers. Collective Employment Contracts drafted for employers’ by consultants and offered to workers on a take-it-or-leave it basis were both legal and normal. Remember this point when I discuss the threat posed by National’s announced industrial relations policy to the embryonic growth of unionism in places like shops and the hospitality sector. For unions to maintain collective bargaining across all the workplaces that had previously been covered by awards was an impossible task in these circumstances. Bargaining in multiple enterprises would require enormously greater resources than representation at an industry or occupational level. That would require more members, not less. A bosses’ charter, the ECA attacked workers’ rights to organise and bargain in order to attack the protections that bargaining had delivered over generations. Protections that were now called “rigidities”. Conditions which put a brake on working hours and job insecurity like penal rates, casual loadings, and overtime pay were the first to go. Not content to stop there employers drove basic wage rates down to a minimum wage well below the old awards. In the face of this assault on its most fundamental job – collective bargaining - the union movement at this point failed to recognise the strategic choices available to it. In 1991 unions still had significant reserves, a considerable workforce of paid officials and leaders in a large number of workplace. In 1991, and in the years immediately following it, there was no end of injustices to workers to organise around as a movement. The monumental blunder of the Council of Trade Unions in failing to organise industrially and politically against the ECA foreclosed on the opportunity to unify a labour movement wracked by the divisions that had been driven into it through the term of the 4th Labour Government. Instead of taking this chance to heal and empower the movement through collective action, the CTU’s inaction entrenched those divisions. What’s more there was a complete failure to anticipate the impact that the loss of bargaining power among the increasing number of workers in the service industries would have on union membership, the union movement and wages and conditions across the whole workforce. The opportunistic approach of some unions to the introduction of contestability fell right into the deregulators’ hands. It’s almost too depressing to imagine now what might have been possible had the CTU followed a path like that taken by the Australian Council of Trade Unions in the face of Howard’s reforms. There, an aggressive political, industrial and community campaign has made industrial relations a major political issue and given a high and positive profile to unionism. This has greatly reduced the usual effectiveness for the right of using Labour’s association with the unions as a campaign weapon against them. It has provided Labour with a crucial and positive area of differentiation. And it has probably reduced the loss of union membership by both highlighting the need for collective protection and improving the image of the union movement. At the same time ACTU is working with unions on strategy, organising methods and the other capacity needed to respond to employer attacks and workforce change at the workplace level. Instead in New Zealand in the 90s, unions like the National Distribution Union were fighting against membership raids into sites of traditional strength by erstwhile comrades, while having to strategically dispense with the large majority of workers in retail workplaces in order to pour resources into holding a collective base in the largest national chains. With their capacity and influence minimised, unions contracted their role to the direct representation of paid-up members through enterprise bargaining and individual representation, moving further than ever from a social movement orientation, with its emphasis on the representation and advancement of workers’ interests. Inter-union solidarity all but disappeared as unions representing workers in the traditionally stronger areas went into competition for members in organised workplaces. Meanwhile trade policy and deregulation conspired to shrink the traditional union base in manufacturing, with employment growth being largely generated in the domestic services sector – the very industries where workers’ access to unions was all but shut off in the 1990s. Privatisation and the associated introduction of competitive tendering for services back to the state sector forced thousands of jobs in previously large and unionised workplaces into cut-throat competition between an ever-increasing number of contractors. At the same time theever-growing movement of women into the labour market has created swathes of jobs in sectors previously dominated by unpaid work. By 2003 care giving for elders and the disabled was the fastest growing occupation. Union density remains highest in manufacturing at nearly 30%, and has fallen to 8 – 10% in the private services sector. In other words the combination of a growing and new workforce, changes in the distribution of employment between industries, the industrial relations framework itself and the failure of the union movement to grapple with its strategic choice in the early years of the ECA have increased the distance between workers and unions. This is the state in which unionism found itself in 1999 at the time of the change of Government and the introduction of the Employment Relations Act - a relatively low and predominantly passive membership - depletion of financial reserves - a reduction of union’s role to the protection and servicing of existing members through enterprise collective bargaining and advocacy on individual employment problems - dealing with employers whose businesses had been built off a low wage and low employment risk platform, acutely aware of the risk unions represented to their bottom line - somewhat secure in the areas of traditional strength but having a minimal presence in the key areas of private sector employment growth - the impact of all of this upheaval on wages and working conditions has been calamitous and persists. The supermarket industry is a case in point. Before the ECA awards had provided for everything from hourly pay rates and allowances to a range of protections against casualisation. The system of relativities described above ensured that despite their passive role in the industrial relations system the wages of supermarket workers retained relativity to wages in general. Most importantly awards took wages and conditions out of the competition between employers for market share. The end of the award system in 1991 coincided with rapid expansion of the supermarket industry and the first supermarket “price wars”. With labour costs a significant portion of total costs, those with lower labour costs gained an immediate advantage. Unemployment was high at the time and new supermarkets under Foodstuffs’, Pak n Save brand, opened their doors in working class communities, offering “take it or leave it” collective employment contracts that represented a 20% pay cut to the award. The welfare reforms announced in the Mother of All Budgets meant workers who refused jobs would lose their unemployment benefits. Although these collective employment contracts were not the product of collective bargaining, workers press-ganged into them were prevented from taking action to improve their conditions, deemed to have already exercised their collective bargaining rights. The owners banned the union from their supermarkets and distribution centres, intimidating workers who showed interest in the union. The established supermarket chains came under huge pressure from the newcomers. What followed was a period of concessionary bargaining – where key conditions such as penalty and overtime rates were traded for a collective bargaining foothold in the industry. In other words the industry standard was driven down by pressure from non-union workplaces, rather than driven up by unionised workplaces. Union membership in the industry fell to about 12% of the workforce, concentrated in the Progressive chain of stores. With the NDU’s current focus on re-unionising Foodstuffs, in the first collective bargaining across its northern wholesale arm, Gilmours, we were this week presented with a 0% offer on the standard rate of $11.74 an hour. Despite continuing record low unemployment – 3.5 per cent according to yesterday’s and quantifiable labour and skills shortages, we are a low wage country and not a lot is happening to change that. Between 1993 and 2003 the average annual increase in real wages was 0.7 per cent, only slightly more than half the OECD average of 1.1 per cent and the Australian average of 1.3 per cent. From 1980 to 2001 real wages actually fell by 6.5 per cent - compared to increases in Australia of 28 per cent, Canada 39 per cent, UK 46 per cent and Finland 68 per cent. The gender pay gap is widening again, after narrowing in substantial part due to wage cuts for men rather than wage increases for women. So how have the bosses been doing? According to a Reserve Bank study, from 2000 to 2004, corporate profits increased by 11 per cent a year. Whereas in 2000 a CEO could expect to earn eight times as much as the pay of the average worker, by 2006, the average CEO pay-packet was 19 times the average wage. Meanwhile New Zealand holds second place in the OECD for our long working hours. One in five us works more than 50 hours a week. Low wages, long hours, a workforce separated from its collective union voice - a perfect environment for doing business. Like those who profiteered from the privatisation programme, mining state enterprises for short term profits and failing to improve assets over time, employers have mined our workforce for its labour to similar effect. If notions of fundamental labour rights and simple justice were not sufficient grounds to increase workers’ access to the collective power of unionism then the economic and social unsustainability of this toxic mixture of low wages, long and insecure working hours, and underinvestment in education and skills surely is. With unemployment and labour force participation at historic lows and highs respectively, already long working hours and an aging workforce demanding higher levels of productivity in future, the new right’s labour market chickens have come home to roost. Notwithstanding John Howard’s more recent efforts to “catch down” with us, comparisons with Australia demonstrate that from a similar position in the 1980s, New Zealand’s low wages have discouraged investment in capital and skill, accounting for most of the difference between the two countries in the productivity stakes. This situation demands that the short-term approach of individual firms to maximise profit through cutting or holding labour costs down should be subservient to a national interest in raising wages, skills and job quality. Sort of a command and control approach, building the capacity of workers to organise in unions, to engage in collective bargaining and to have much greater influence on the organisation of the workplace is therefore an urgent economic task. It is also an urgent social and democratic task. There are obvious benefits to family and community wellbeing of increasing wages and providing a collective voice for workers on issues like secure hours and work organisation that meets the needs of today’s workforce. But there is also a less tangible and yet vital value in unionism as a social and democratic institution in itself. Much like the unaccounted value of women’s traditional work in the household and community, the “social capital” provided by unions has become more visible as it has deteriorated. Unions themselves grew out of intimate communities of workers where solidarity flowed naturally between the workplace and the outside world. Important sites for worker education, leadership development, and mutual support, the social capital inherent in unions was once immense. The destruction of that community resource in the face of catastrophic economic decisions – like the closure of a plant where the union has simply disappeared - has significantly weakened the resilience of many communities with inter-generational effects. Clubs, welfare organisations, political party branches and other key social and democratic forums have been disrupted and wrecked. But unionism’s own retrenchment to the protection and servicing of existing members through enterprise collective bargaining and advocacy on individual employment problems has also contributed to this decline. Neither the fee-for-service culture of unionism that prevailed through the 1990s, nor the increasingly dominant “organising model”, which aims to increase the role of union members and workplace leaders so as to enlarge the capacity of unions to organise new workers into unions, are sufficient. We have to incorporate aspects of both while moving beyond their boundaries, which limit the ability of unionism to deliver on our historic purpose - to broaden and deepen social and political solidarity. So to summarise thus far before moving to my attempt to answer the question of what sort of unions we need. First, the decline in union membership is not due to worker rejection of a collective voice on employment matters. It is due to a number of related factors: anti-union and anti-collectivist industrial relations policy, a decline in the numbers employed in areas of traditional union strength and employment growth in sectors and firms never organised and among workers never unionised, workforce and workplace change, and unions’ own strategic choices in response to these factors. Second, the withdrawal of supports for unionism and the national industrial relations framework have had a catastrophic effect on wages, working conditions, and security and contributed to steep increases in income inequality by reducing the real and relative value of most workers’ jobs. Finally, the costs of this catastrophe extend beyond the workers themselves to the economic, social and democratic spheres - damaging our prospects to preserve national values like social solidarity and justice under threat from globalisation and market forces. So how is our recovery going and what more can we do as unions to reverse the loss of workers’ power and workers’ organisation at a workplace, community and national level? A change of Government in 1999, the restoration of union organising rights and to a lesser extent collective bargaining mechanisms through the Employment Relations Act, as well as the paying of long overdue attention to the internal life of unions, have brought a real surge in union activity and confidence. First, to the legislation, which provides an important backdrop to union renewal. The ERA restored the statutory role of unions as workers’ representatives in collective bargaining as well as the right of workers to take industrial action to press claims for multi-employer collective agreements. Employers and unions are required to bargain in good faith and to conclude collective agreements. Rights facilitating organising have been restored, including the ability of unions to enter workplaces to recruit and communicate with workers, paid employment relations education leave and meeting time for union members, and a requirement for employers to deduct union fees from members’ wages. 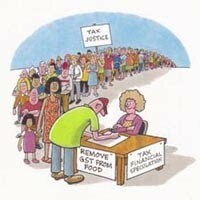 The threshold for union registration is low, requiring only the 15 members necessary to form an incorporated society. The emphasis is on independence from the employer, a critical protection against the practice of employers under the ECA to dictate the terms of collective employment contracts and thereby prevent workers from demanding genuine collective bargaining rights, including the right to strike, during the term of the agreement. We have a long history of defining unions’ relevance and role almost entirely in terms of the industrial relations framework. Perhaps this is why some of the strategic choices that have always been available to unions, including through the 1990s – like running industry- and labour-market-wide campaigns for higher wages and building the capacity of the union membership and leadership in the workplace – have really only come into their own since these law changes. The New Zealand Nurses Organisation’s ‘Fair Pay – because we’re worth it’ campaign in 2003-2004 combined workplace, community, networking, public relations activities and a high media profile with the threat of strike action to pressure Government to fund public hospital employers to meet a claim by nurses for ‘pay equity’ with other, traditionally male-dominated, state sector professions and nurses overseas. The ‘Fair Share’ or ‘5 in 05’ Campaign led by the EPMU in 2005 called for a series of above-inflation pay rises cross the private sector to restore losses incurred by workers through the long-term transfer of company earnings from wages to profits. Mass stop-work meetings and industrial action were reinforced by print and broadcast advertising and a media strategy. Unite’s ‘SupersizeMyPay.com’ campaign launched in 2005, re-introduced unionism and collective bargaining to the fast-food sector. All national chains are now covered by collective bargaining resulting in higher minimum wages and more security of hours in this low-paid and casualised industry. The margin between youth rates and full rates has narrowed and the campaign spawned largely successful political action and collective bargaining by other unions to end youth rates. Youth-oriented events and festivals, the engagement of politicised school students, one-hour strikes, networking with social justice organisations and a high media profile were all features of this campaign. Most recently the SFWU’s Healthy Hospitals campaign combined membership growth and activism with intense political lobbying to drive all but Spotless Services into a new industry standard for the lowest paid hospital workers. Once isolated, Spotless was targeted through a successful industrial and public relations campaign, succumbing in the end to the inevitable. If anyone doubted the ideological quality of employer opposition to collective bargaining this case provided it. Like all other providers Spotless was promised the money by Government to meet the newly-bargained industry standard, but locked out its employees in pursuit of its right to use economic power to extract an even larger slice of profit from the public purse. Each of these campaigns has involved elements of traditional industrial action, but were characterised much more by their community, media and public relations strategies. Such campaigns helped improve the profile of unionism and collective action. They have also created a momentum for others to capitalise on. Each time a successful battle is played out and won in the public eye the confidence of the union movement grows, other union members expectations, not just of good results but also of worthy fights, are raised, and workers not yet in unions become more interested in joining. With the exception of the “5 in 05” campaign which was firmly directed at a moderate redistribution of the fruits of production from profits to wages in industries with a long history of collective action, these campaigns have all been driven by wage justice issues – low pay, gender-based pay, youth wage discrimination – and all organised in industries or services with a history of dependence on relativities for wage increases and a strong client or customer link with the general public. Each has utilised that link to win. Given that the greatest potential for re-building unions lies in the domestic services sector, direct public appeals for social solidarity with service and care workers is clearly a winning strategy. Add into this mix (of wage justice issues in a business with close links to the general public) an industrially aggressive employer prepared to hold its wages as near to its lower paying competition as possible, and you have the recipe for the 4-week long lock-out of Progressive’s supermarket distribution centre workers just over a year ago. Unlike these other campaigns, from an insider’s perspective this one bore a closer resemblance to well-managed civil defence emergency than a well-planned and strategic campaign. I have earlier described how in the 1990s Foodstuffs used de-unionisation and wage cuts to fund price cuts, forcing pay and conditions down throughout the supermarket industry. It was natural therefore that the NDU’s sights were directed at organising Foodstuffs supermarkets and distribution centres in order to protect higher rates at Progressive and improve standards across the industry. Progressive’s new owners, however, had a different plan. Rather than bargain in good faith to close a $2 an hour pay gap between its three distribution centres, the company decided to go to war with its workforce and their unions. Nonetheless some important clues to union relevance can be drawn from a campaign that attracted unprecedented union movement solidarity, raised $450,000 from union, workplace and public donations, saw a re-emergence of sympathy industrial action in related food manufacturing, transport and logistics companies, and creative activism by many others. The union decided not to call for a customer boycott because of the way it might have been used by management to undermine our legitimacy among our much larger but generally inactive in-store membership. Despite this, spontaneous customer action stopped much of what did get delivered to the stores getting out of them, taking a heavy short-term toll on earnings and market share. What clues are there for union relevance from this dispute? First, a genuine culture of solidarity remains central to union movement values. Not a single union refused a request for assistance – to bolster picket lines, take up collections or provide relief organising staff – and members of ours and other unions were prepared to back the workers with collective action in related jobs. That culture extends beyond the labour movement to churches, political parties, social justice, welfare, and cultural organisations whose own social capital was invested in this battle. Second, New Zealanders can and will back workers defending themselves against a bully – especially an Australian bully. Third, the lack of a large union strike fund was a strength of the campaign. It made it even more important to get the workers and the union into the public eye because of the need to raise funds, reinforcing the imbalance of power between warring parties and giving workers, the union and the employer a clear measure of support. That support allowed us to achieve the primary objective of any industrial dispute which, as Matt McCarten puts it, is “to stay out one day longer than the boss”. Fourth, and most importantly, it demonstrated the resilience and resources of workers in battle. Communities were established on the picket lines, which became the centre of solidarity, welfare and activism. Leadership in building these communities came from the workers themselves, their partners and social networks. For me, inclusion in this community was a privilege beyond description. As the campaign built public and union support workers who had mostly never taken action before realised that they were at the centre of a struggle that had much wider ramifications. Their involvement in industrial action not only brought about self-consciousness but also created new meanings and awareness of unionism as a social movement. The workers realised that they could make a difference by bringing about social change through collective action. Finally, the truce established by the employer’s withdrawal from the battle established new terms of engagement between the union and the company. It is no coincidence that in supermarket bargaining this year the same principle of equal pay for equal work was finally implemented across the three brands and we delivered an effective end to youth rates. So, for unions, building relevance and gaining respect from workers and employers through collective action is a must. While evidence like that produced in the NZWRPS shows that workers want to see co-operation between their union and management, they also want unions to vigorously defend their interests. This series of successful collective action-based union campaigns has created a momentum that needs to be capitalised on by the movement. There are three very substantial barriers to that happening. First, no union has the capacity to extend the reach of unionism to the areas where the unmet demand for unions is greatest - among younger workers, low paid workers and those in smaller workplaces. Second, employer hostility to unionisation and collective bargaining adds very significantly to the cost of not just recruiting but retaining members through often protracted bargaining for a collective agreement. Third, the industrial relations framework fails to provide the kind of institutional support needed to get sufficient coverage of collective bargaining in large, low union density industries like retail and hospitality to take wages and conditions out of competition between employers. There are many things unions can do to address these barriers, but there are others that will require greater resources from within or outside the labour movement as well as law reform to extend collective bargaining beyond its enterprise focus. All unions are paying greater attention to the most glaring opportunity revealed by the evidence. That is, that a significant proportion of non-members, including workers in sites with collective agreements, say that the reason they aren’t in the union is because they have never been invited to join. As well as developing the workplace and union-office capacity to recruit new staff, industries like retail with a history of bargaining in the national chains but only moderate or low membership density also need to use new ways of re-framing the problem of free riding in low or moderate density workplaces, before we will be able to minimise it. It has been usual for unions to define free riding – that is the passing-on of collectively bargained terms and conditions to non-members – as a problem of fairness. It is not fair, it is said, that one person pays fees to benefit someone else. This way of looking at the problem reinforces the fee-for-service approach to unionism and is ultimately counter-productive. Most of these free riders are opportunistic, rather than hostile. In these sorts of workplaces, free riding is not a mainly a problem of fairness but a problem of capacity. It reduces the union’s income and fragments collective power. Without recruiting people we can’t solve the fees problem, but by involving non-members in union organisation on the job we do have a better chance of overcoming the problem of collective weakness and creating a stronger link between the non-member and the union which will ultimately increase the likelihood of them joining. The prevailing attitude to free riders only feeds the cycle, as invariably in collective bargaining the employer strongly aligns their interests to the interests of non-members, acting as their patron and defender against union claims to advantage union members. Like the NDU’s challenge in retail, in an industry like Fast Food that has 100% turnover and low worker commitment to the job, there are obvious difficulties in maintaining membership density and retaining experienced union members. Unite has had two other approaches to this problem. First, it resources campaigns and builds alliances with activists and community groups which allow it to maximise its impact on reputation-sensitive employers. The union actively promotes the reach of its collective bargaining across the industry, rather than the depth of its membership density. Second, Unite continues to develop a wider role to increase the value of union membership. Most significantly this has gone beyond the standard set of union discounts (which are, incidentally, a very popular membership service) to partnership with Te Wananga o Aotearoa to provide literacy, computing and Te Reo courses to union members. In true Freire-esque style “Liberation through Education” is the motto. But as already stated there is a limit to what unions already struggling to recruit many thousands of members a year just to stand still can achieve. In the supermarket industry alone, there are 160 separately owned Pak N Save and New World supermarkets just waiting to be organised. The exceptional performance of the NDU’s Growth Unit has seen three of the largest of Pak n Saves in Auckland organised through to a first collective agreement in the last year, with three more underway. But with significant union resources necessarily invested in meeting the needs of 20,000 members in over a thousand workplaces and covered by over 350 collective agreements, the unmet demand for unionism lingers. The retail and wholesale industry has 8.5% density. In other words about 27,200 of the 320,000 people employed in the industry are in a union. Perhaps 20% of the 320,000 are already within the reach of collective bargaining – either through union membership or free riding. This leaves 256,000 retail and wholesale workers, or the equivalent of every manufacturing worker in the country, beyond the reach of unions and collective bargaining. The union movement must consider how it can share this responsibility with the unions on the frontline of the “under paid workers in the underpaid occupations” of the service sector. While the Progressive dispute put any question of shared values beyond doubt, there is an opportunity just waiting to be grabbed to increase the size and reach and power of unionism beyond its present public sector and large private enterprise boundaries. An example of the resources needed for a serious effort comes from the Change to Win coalition’s conditions for membership. These unions, which represent a majority of unionised workers in the USA, have an obligation to spend at least 20% of their income on green fields organising. In New Zealand terms, 20% of the estimated fees income of the trade union movement is almost identical to the total combined incomes of the NDU, the SFWU, Unite and the Amalgamated Workers Unions, those unions in the sectors with the greatest un-met demand for union membership. I will reinforce that message to the Government, but it is equally important to direct it at our own movement. Acting on it is essential to the growth, credibility and influence of the trade union movement as a whole – and therefore to each union in it. Furthermore, it is collective culture which legitimises the public sector as a whole, where most union members work, and the breakdown of collectivism which continues to threaten it. Union participation is a major means for developing the collectivist world-view on which public support for public services depends. So finally, to the Government, politics and public policy. We have already seen how the relevance of unions to workers is heavily dependent on the industrial relations and public policy framework. The fundamental purpose of the Employment Relations Act was to address the power imbalance inherent in the employment relationship through the promotion and encouragement of collective bargaining. This was the primary tool of the Labour-Alliance government for restoring a fairer distribution of the fruits of production between wages and profits. The wage and profit figures I have used show that both more legislative support and more than legislative support will be needed to achieve this objective. As well as providing a challenge to the union movement, the minimal capacity of unions in the private sector to extend our reach is also a public policy problem. An unmet demand for union membership under a framework that is intended to promote collective bargaining prolongs the injustices imposed through labour market deregulation in the 1990s. If the right to organise in unions is a fundamental human right recognised by this Government, then it needs to be given greater practical support. The situation we face is a bit like offering everyone free health care and then closing 80 per cent of the hospitals. Access to collective bargaining should not be treated as an “optional extra” dependent only on the low capacity of a trade union movement gutted of resources in the 1990s. The unmet demand for unionism and the positive view both members and most non-members hold of unions must surely outweigh the ideological objections of employers and the National Party. In their own industrial relations practice the government has shown a willingness to back collective bargaining against ideologically-motivated interests. Most recently it has been sued for insisting that extra funding for wage increases for caregivers in private aged care facilities must be delivered through mechanisms related to collective bargaining. Direct government support for union capacity building is needed, as are stronger institutional measures to prevent employers from undermining union organising efforts and new methods to extend the reach of collective bargaining on an industry basis. And what we don’t need is a National Party committed to rolling back the progress we are making for nothing more than the pacification of ideological employer interests. Among the most dangerous of their propositions is to empower employers to put in place non-union collective agreements. I can tell you that at our current rate of organising in Foodstuffs, if such legislation were passed, in 2009 there would be 10 genuine collective agreements and 150 employer-drafted ones locking workers out of collective bargaining for another three years. Such an approach demands that we pay attention to the building blocks of our democracy, and among these our union movement. The following statement from Socialist Alternative (Australia) clearly identifies the real issues around the Respect crisis as a question of broad party vs. narrow party strategies. As strong supporters of the broad-party strategy, UNITYblog rejects the conclusions of this article - but we republish it as it raises vital questions that all revolutionary supporters of broad parties should be able to answer. The Respect fiasco in Britain Respect (The Unity Coalition), which the British Socialist Workers Party (SWP) was centrally involved in establishing, has suffered a disastrous split. On one side of the split are George Galloway (Respect's sole MP), various Muslim activists, a few prominent personalities such as film director Ken Loach plus one or two small socialist groups and a few ex-SWP members. On the other side is the SWP, which probably accounts for nearly half the Respect membership and its close supporters. The SWP argues that this was a clear left/right fight - that Galloway and co wanted to drive out the SWP or severely undermine its influence in order to push Respect further in an electoralist direction centred on appealing to Muslim voters on a communalist basis and away from an orientation to the working class. Their opponents argue that the SWP needlessly provoked the split by wildly overreacting to proposals to open up Respect which threatened the SWP's stifling bureaucratic control. It is impossible from this far away for Socialist Alternative to evaluate all the ins and outs of the split. Instead we want to draw out some general lessons from the orientation of the SWP/IST over the last 15 years and to begin to outline our standpoint on the "broad party" debate which has become a key question on the left internationally. In the early 1990s the SWP and consequently the IST adopted "the 1930s in slow motion" perspective. At the core of this perspective was the idea that the 1990s were similar to the 1930s - a period of profound economic crisis and massive social destabilisation in which capitalism was rocked to its foundations by sharp political polarisations to the left and to the right - except this time round the crisis would be more drawn out. On the basis of this analysis it was argued that the small IST groups could make rapid gains if they turned outwards to relate to the developing working class radicalisation. This wildly overstated analysis severely disoriented the IST and led to numerous splits. It also led IST groups to embrace a series of get rich quick schemes to try to break out and seize the supposedly massive opportunities for growth. These get rich quick schemes came to nothing or ended in disaster. Respect is but the latest debacle. The IST's false perspective had an extremely deleterious impact on the Australian ISO. At the S11 protest at Melbourne's Crown casino in 2000 the ISO argued that revolutionary socialists had "90 per cent agreement and only 10 per cent disagreement" with the politics of the mass of people attending this and other demonstrations. One consequence of this greatly exaggerated assessment of the degree to which those involved in anti-capitalist protests agreed with Marxist politics was that the ISO did not seriously attempt to win politically people they signed up as members. Indeed the ISO condemned as "sectarian" any serious attempt to argue for Marxist politics. Hundreds of people signed ISO membership cards at the height of the anti-capitalist movement but hardly any were held as members; even worse, because the ISO accommodated to the prevailing autonomist/anarchist politics of the movement they lost a layer of their existing members to autonomism. In other words the ISO's vastly exaggerated perspective resulted in them reinforcing the ranks of some of the bitterest opponents of Marxism. But it was not just in Australia that the IST's overblown assessment of the anti-capitalist movement proved a debacle. The German IST group also lost a layer of members to autonomism and the ISO (US) was expelled from the IST because in the eyes of the SWP it did not take the anti-capitalist movement seriously enough. 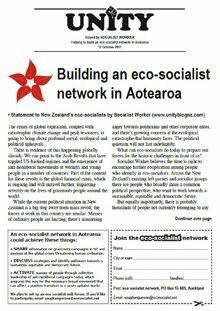 Hot on the heels of this disastrous intervention in the anti-capitalist movement the Australian ISO linked up with the Castroite Democratic Socialist Party (DSP) in 2001 to initiate Socialist Alliance. The ISO argued that a mass radicalisation around the anti-capitalist movement, combined with the growing disillusionment of traditional Labor voters, was opening up a sizeable space for a socialist electoral alternative. But Socialist Alliance proved abortive. It did not attract a significant layer of activists outside the existing socialist groups and its votes in elections were miniscule. The ISO's analysis was faulty on a series of counts. Firstly, they massively overstated the number of activists thrown up by the anti-capitalist movement. Secondly, they falsely assumed that a socialist electoral project would appeal to the small layer of activists (usually influenced by autonomism) that had emerged. Thirdly, they overstated the extent to which disillusioned working class Labor voters would be attracted to a socialist electoral alternative that had no base in the unions or working class communities. Fourthly, the rise of the Greens soaked up the protest vote against Labor, not Socialist Alliance. Having failed to pull in significant new forces Socialist Alliance degenerated into a sectarian battle ground between the DSP, the ISO and other tiny socialist groups. The ISO lost out badly. By the time they officially withdrew from Socialist Alliance in early 2007 they had suffered another split and been reduced to a tiny rump. In joining Socialist Alliance the ISO was simply following the lead of the SWP which had joined the English Socialist Alliance in 1999. But as in Australia Socialist Alliance in England had little political traction. It neither pulled in sizeable new forces nor mobilised significant voter support. But the SWP, holding fast to its "1930s in slow motion" analysis, continued to believe that a significant space had opened up to the left of Labour that they could tap. So they ditched Socialist Alliance and moved on to their next get rich quick scheme - Respect. The SWP argued that Respect would appeal to broader forces galvanised by the anti-war movement; in particular they hoped to draw in significant numbers of Muslims shaken up by Blair's strident support for Bush's war drive. Respect - founded in January 2004 - did have a higher profile than Socialist Alliance, partly because of the role of anti-war MP George Galloway who had been expelled from the Labour Party. However, although they never acknowledged it, the fact that the SWP had to drop the openly socialist name Socialist Alliance for the fuzzier Respect (the initials stand for Respect, Equality, Socialism, Peace, Environmentalism, Community and Trade Unionism) to try to win broader support indicates that the radicalisation in British society was nowhere near as sharp as the SWP had long trumpeted. They were effectively dragged to the right in pursuit of the mass audience they claimed was breaking with Labour. Respect achieved more electoral success than Socialist Alliance, most notably the election of Galloway in the 2005 general elections plus some good votes in council elections. However it did not attract a layer of new activists, let alone any substantial number of workers breaking from Labour. Though in a few areas where it had electoral success, it did attract a few opportunist local community leaders (ie Bengali small business owners), seeking council positions. The SWP provided the core of Respect's activists. Given that the SWP only claims 5,938 registered members (the active membership is considerably lower, probably no more than 1500), the fact that after more than three and a half years it continued to provide a substantial proportion of Respect's activists indicated that Respect had never taken off membership wise. Indeed Respect's 2007 membership only seems to have been a couple of thousand and even many SWP members failed to take out Respect membership. The supposedly broad Respect had fewer members than the "narrow" Marxist SWP. This created a contradictory and untenable situation. A Marxist group was the dominant force attempting to hold together an electoral front with a reformist program. Even worse Respect's best known figure was the maverick Galloway who had a following amongst a layer of Bengali business owners. Respect was bound to end in a debacle. It would have been one thing if Respect had attracted thousands of leftward moving workers. In that situation the SWP could have positioned itself as the left wing arguing for a class struggle program against the moderate section of Respect. But without a substantial radicalised working class base the SWP was left trying to patch up compromises with those on its right and playing bureaucratic games to hold together an unstable and unviable organisation. Respect has ended badly for the SWP. Leaving aside who was wrong and right on every specific issue, the end result is that a project in which the SWP has invested considerable time, resources and credibility has blown apart. The SWP has fallen out bitterly with one-time allies and even lost some long standing members to the Galloway forces. The SWP leadership effectively created its own right wing amongst a layer of members who took Respect seriously. Some of those comrades have gone over to Galloway others have walked away. It is too early to tell what will be the ultimate fall out for the SWP. For the moment, though there is evidence of concern, unfortunately, the only criticism openly raised within the SWP of the leadership's approach to Respect has been from the right. Theoretical contortions: a united front of a special kind In order to justify the Respect project the SWP had to engage in theoretical contortions, describing it as a "united front of a special kind". This is playing with words. The method of the united front developed by Lenin and Trotsky in the early 1920s and further elaborated by Trotsky faced with the rise of Nazism in the early 1930s was aimed at uniting revolutionaries and reformists in a joint struggle against a common enemy. Revolutionaries and reformists could unite in action for specific agreed demands but would maintain their own independent organisations and the right to put forward their own propaganda and to politically criticise their allies in the united front. In the course of the united struggle around the specific agreed demands revolutionaries would have the opportunity to demonstrate to rank and file supporters of reformist parties and reformist trade union leaders that revolutionaries were the most consistent defenders of workers' interests and would thus be able to win them to socialism. An electoral formation such as Respect is not a united front in this sense. The united front as Trotsky and the Comintern put it forward was not an ongoing alliance but a short lived agreement to unite in joint struggle around specific demands. It was neither a common propaganda bloc nor a broad program for contesting elections. Moreover in the united front revolutionaries and reformists maintained their separate organisations, their separate publications, their separate propaganda, whereas in an electoral formation all the forces involved run on the same program and put out joint propaganda. And finally for Trotsky, Lenin and the Comintern the united front was aimed at exposing the reformist leaders and winning rank and file supporters of the reformists to the revolutionary organisation. The SWP offer no substantial theoretical justification for their claim that Respect is a "united front of a special kind" except to argue that in his writings on fascism Trotsky outlined "an altogether broader approach" to the conception of the united front: The trade unions are, for instance described as ‘the rudimentary form of the united front in the economic struggle' because they unite revolutionaries and reformists in the common struggle over wages and conditions. Trade unions are of course neither single issue nor temporary organisations. Moreover, Trotsky describes the soviets themselves as united fronts: ‘The soviet is the highest form of the united front under the conditions in which the proletariat enters the epoch of fighting for power'. The soviets were of course permanent bodies with their own executives, subcommittees, military apparatus, newspapers... What this has to do with defining Respect as a "united front of a special kind" is obscure to say the least. Both unions and soviets are organisations of working class struggle in which different political parties and currents contest for leadership and maintain their own separate and distinct organisations. They are not the same as - or even similar to - a political party or electoral front. So the analogy drawn by the SWP leadership is false and does not substantiate their claim that Respect is a united front of any kind. This is not to say that revolutionaries should not in specific circumstances attempt to build new mass workers parties that draw in reformist, centrist and syndicalist forces. In a country like the USA where there is no workers party, only the openly capitalist Republicans and Democrats, a mass Labor Party would be a step forward. Similarly in Australia, Britain, France etc where the traditional social democratic parties are thoroughly wedded to a neo-liberal agenda a mass break to the left to form new workers parties would be a real advance. But only if they mobilised at least a significant minority of the working class. Within these mass parties revolutionaries would organise to fight for a genuine class struggle program and attempt, if they had the forces, to win the leadership away from reformist and centrist elements. This orientation was advocated by Lenin in 1920 when he argued for the few thousand strong British Communist Party to affiliate to the Labour Party "insofar as the Labour Party permits sufficient freedom of criticism". Labour at that time operated as a federation to which unions and socialist parties affiliated. This meant that the Communists could apply to join without having to tone down their revolutionary program of soviet power and would be able to openly "expose and criticise" the reformist Labour leaders as "betrayers of the working class". Previously in his pamphlet Left Wing Communism: An Infantile Disorder, Lenin had argued for Communists to support a Labour electoral victory "as the rope supports a hanged man". That is, vote Labour into office so they could be put to the test. When they inevitably betrayed working class interests the real nature of the Labour leaders would be exposed and the Communists would be better placed to win mass working class support. But like all manoeuvres, even justifiable ones, the Labour Party orientation of the early British (and Australian) CP carried the danger of adaption to the reformists. These dangers are much more acute for socialists trying to operate, not in a party with a mass worker membership like Labour in the 1920s, but in a tiny, unstable party like Respect with a couple of thousand members. This was particularly so when the organised socialists were the main force trying to hold Respect together and felt impelled to make all sorts of compromises with reformist elements to keep them involved. This made it next to impossible for the SWP to openly criticise electoralist trends in Respect without blowing up the organisation. A similar problem confronted the British CP in the mid-1920s when after being refused affiliation they established the National Left-Wing Movement within the Labour Party. As Duncan Hallas, a former SWP Central Committee member, wrote in 1982, Now, of course, if such an organisation had been formed by genuine leftward moving reformists or centrists, a revolutionary party would have sought to relate to it through involvement in joint work together with fraternal but firm criticism. But this was not the case at all. The National Left-Wing Movement was a CP operation from start to finish, in spite of the participation of many genuine Labour lefts. The CP leadership decided to set it up, controlled it throughout and finally terminated it. What was its purpose? The theory was that it was a bridge to the CP for leftward moving Labour people. But why should they join the CP if the object was to ‘remould' the Labour Party, especially as the CP itself said that this was both possible and necessary? Moreover, since the CP ran the thing it could not criticise its fundamentally reformist aspirations. It was no bridge but a barrier: a thoroughly opportunist scheme which served the interests of reformism, not revolution. The CP was positively promoting reformism. A broad road to nowhere Most left wing commentary on the Respect debacle has criticised the SWP for being insufficiently committed to Respect. These soft left critics of the SWP's approach argue that the SWP should have bent over backwards to accommodate the motley forces that made up Respect. It is argued that the way forward for the left is building "broad" parties that unite all socialists - revolutionaries, reformists and all shades in between. Indeed a consensus has emerged on much of the international left over the last few years that the whole project of socialist groups attempting to build explicitly revolutionary parties is sectarian. Consequently the SWP are criticised for not dissolving their organisation entirely into Respect - that revolutionaries operating as an organised and decisive force undermines the possibility of achieving the broad consensus needed to maintain soft left parties. This criticism is in a sense true but not in the way intended by the advocates of the "broad" party model. Reformist and revolutionary politics are entirely incompatible. Parties that try to combine revolutionaries and reformists are bound to blow apart in the long run. The only circumstance in which this would not happen is if the revolutionaries consistently refused to fight for their politics. Alternatively it is argued that the SWP should have become a tendency within Respect and not maintained a separate revolutionary organisation outside Respect. This is the approach of the supporters of the Scottish Socialist Party (SSP) and of the Australian DSP which renamed itself the Democratic Socialist Perspective within Socialist Alliance. But this approach hardly proved a winner in the SSP which has been reduced to a mere rump. The harsh reality is that no amount of diplomatic manoeuvring and no organisational formula can successfully combine over a prolonged period two incompatibles - revolutionary Marxism on the one hand and reformism on the other. The argument goes that the way to advance the left is to build broad parties to the left of the traditional social democratic parties that can have a significant electoral appeal. There are a series of problems with this approach. To start with in a series of countries, such as Australia, Britain, the US, there is little evidence that mass support exists for establishing such parties. It would take an upsurge in class struggle and a radicalisation of a significant layer of workers to open up any possibility of such parties having a resonance. For socialists to be putting their efforts into building "broad" parties when there is no objective basis for them is wishful thinking. It is chasing rainbows. It will result in socialists wasting their time in sectarian infighting in rump organisations. It will mean more debacles like Respect or Socialist Alliance. But even that is not the fundamental problem. Most advocates of the broad party model argue that it is possible as a long term project to build parties that blur revolutionary and reformist politics. Indeed many of them argue that the distinction between revolutionary and reformist politics is meaningless in today's world or will only become an issue at some point in the distant future. This is nothing but political amnesia. It ignores the whole history of the socialist movement over the last 120 years. We have been through this movie before. The mass socialist parties like the German and Austrian Social Democratic Parties and the French Socialist Party that did not build on a clear revolutionary basis ended up spectacularly betraying working class interests by supporting World War I. It could not have been otherwise. It is the whole logic of reformism. Having rejected the revolutionary overthrow of capitalism and having set out to reform the system via parliament you inevitably end up seeking to run capitalism on behalf of the bosses. Why on earth would socialists want to go through that experience again? Here in Australia we have the graphic example of the ALP, many of whose founders were militant workers who genuinely wanted to challenge the rule of capital. But because they did not have clear Marxist politics, they were unable to prevent the party they had created being turned into an instrument for suppressing the working class. Why do socialists after over 110 years of experience of the ALP want to put their energies into building a party that is politically little different to the ALP of the early 1890s? We don't have to rely on ancient history to see the disastrous impact of not building parties on a clear revolutionary basis. In Italy, Communist Refoundation - which with its tens of thousands of members was upheld by the supporters of the broad party model as an inspiring example to emulate - joined the centre-left neo-liberal coalition and voted to support sending Italian troops to Lebanon and Afghanistan. The tragedy is that the British SWP - which still publicly argues for building a genuine revolutionary party and rejects the broad left party model - has in practice fudged the issue with its orientation to Respect. Flowing from its "1930s in slow motion" perspective - a totally unrealistic assessment of the level of radicalism in society - it has plunged from one get rich quick scheme to the next and in the case of Respect committed serious opportunistic errors. The harsh reality is that the pace of political development can't be forced by a few thousand socialists. We have to build on sound Marxist foundations. That does not rule out working constructively with reformist forces in all sorts of campaigns. Far from it. That is the ABC of Leninism. But there must be no blurring of banners. The revolutionary forces should not be in the business of artificially propping up essentially reformist electoral formations. Socialist Alternative, Australia December 2007 --------------------------------------------------------------------------------  The leading organisation of the International Socialist Tendency (IST) from which the founders of Socialist Alternative were expelled in 1995. In Scotland the SWP joined the Scottish Socialist Party (SSP) which also proved a fiasco suffering a debilitating split in 2006. The figure for registered members is from the SWP's Pre-conference Bulletin 1, October 2007. The bulletin gives a figure of 8,700 for the average sale of Socialist Worker. This is well down on 10-15 years ago and is a sign of the SWP's significant decline. It also highlights the low level of activity of SWP members who on these figures sell on average only 0.5 Socialist Workers per member a week to non-members. SWP Pre-conference Bulletin 1, October 2007, p8. There is also the question of entrism when socialist groups join leftward moving centrist or reformist parties to try to win the initial forces to establish a revolutionary party. See Duncan Hallas, "Revolutionaries and the Labour Party", International Socialism, 16, London, Spring 1982. Lenin, Collected Works, Vol 31, Progress Publishers, Moscow, 1966, p260-262. Hallas, p10. For more on the broad party debate see Mick Armstrong, From Little Things Big Things Grow. Strategies for building revolutionary socialist organisations, Socialist Alternative, Melbourne, 2007, chapter 10. No more cuts – nationalise Air NZ! joint campaign material in 2006, but a joint fight never materialised. "I call them absolute dogs", said Jill Ovens. The voice of the Northern Region secretary of the Service & Food Workers Union (SFWU) was brimming with anger as she told Workers Charter about the vicious campaign by Air NZ bosses to slash pay and conditions for ground staff. At the end of November, after Air NZ issued lockout notices to 137 check-in staff and baggage handlers, the union reluctantly signed a deal accepting "flexible" rosters and cuts in overtime rates, shift allowances and meal allowances. These workers, who weren't highly paid in the first place, will now lose up to $20,000 a year each. The deal follows a similar agreement made earlier this year for ground crew belonging to the Engineers Union (EPMU). It also comes on top of cuts, and 300 job losses, in the airline's heavy engineering division in 2006. The Labour government owns 83 percent of Air NZ. Party members at Labour's 2006 conference supported a union call for the Labour government to buy back the remaining shares and stop the cuts. But this year Helen Clark has stood back as Air NZ bosses bribed, bullied and even broke the law to ram through their cuts and undermine union power. Her government hid behind laws saying managers must maximise returns for the minority private shareholders who own the other 17 percent. Air NZ bosses said the cuts for ground staff were needed to avoid a crisis of profitability. Yet their profit for the year to June, which largely excludes any savings from the changes, was the biggest in a decade – $214 million. The top "dog", Air NZ chief executive Rob Fyfe, pays himself a million dollars a year. For their silence, the government's share of that profit was $144 million. The cuts came after Air NZ threatened late last year to contract out 1,800 ground handling jobs to a multinational consortium. EPMU leaders recommended in March that their members accept the cuts to stop the outsourcing. The union's national secretary, Andrew Little, likened this to "swallowing a dead rat". Having signed the deal, they then belatedly asked for a parliamentary inquiry into Air NZ's "sharp practice". The EPMU's concessions haven't saved them from further attacks. Air NZ is now suing that union for disclosing company information to the inquiry. SFWU members on the other hand, supported by their union leaders, voted to fight the cuts. But in April, Air NZ went behind the back of the SFWU and wrote directly to each union member. The letter said they'd get a lump sum payment of $1,000 to $3,000 if they left that union, and suggested they could join the EPMU instead. It also warned people they wouldn't get promotions if they stayed in the union and could have their rosters changed. Then the company rang each SFWU member at home, to reinforce the message. In a ruling in October, Authority member Alastair Dumbleton found Air NZ guilty of "attempting to interfere in relations between a union and its members by encouraging resignation from membership", a "serious failure to comply with the requirements of good faith". The company is now liable for a fine of up to $2.7 million, although just how much the company will have to pay, and whether any of it will go to the union as compensation, are yet to be decided. Meanwhile, the damage has been done. In March, the SFWU had 269 members at Air NZ. But the months of bullying and bribery took their toll. By November, only 46 of those members were left - just 12 in full-time positions. The SFWU recruited around 80 new members, but these were all part-timers on the "flexible" conditions of the "in-house solution" now covering by far the majority of front-line staff. "Air NZ has completely gutted the full-time workforce", says Jill Ovens. "They've employed young people to replace them. "Many of these new employees have joined the SFWU. But Air NZ put them on rosters with no guaranteed hours. "Air NZ managers told part-time check-in staff they would be rostered for just 20 hours a week, because they belong to the SFWU. "They denied them overtime on the basis of union affiliation, which is also illegal. Then, the final cut, they threatened them all with a lockout. "They're lovely", says Jill of these new, young union members, "and they're really staunch, but they just can't do it. "I sent them a message. I quoted Kenny Rogers, in that song 'The Gambler': 'You've got to know when to hold 'em, and know when to fold 'em'." Meanwhile the 2007 Labour Party conference, held in November, voted overwhelmingly for a formal resolution to renationalise Air NZ. This would remove the fig leaf of private shareholder rights, and make it easier to force the government to stop further Air NZ cuts in future. In theory, the policy should now go into Labour's manifesto. But unions will need to lead a big grassroots campaign if re-nationalisation is to happen. Left to themselves, Labour governments have a long track record of ignoring votes at Labour Party conferences if they go against business wishes. 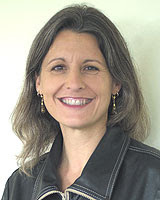 "The future for the union", says Jill, "is the young people being recruited in South Auckland. "It's a bit like General MacArthur in the Philippines: 'We'll be back'." The bitter setbacks for ground staff at Air NZ must not be in vain. 300 jobs have been lost, the remaining workers have had pay cuts of up to $20,000 a year and permanent jobs have been replaced by casual positions with no guaranteed hours. Tragically, it was avoidable. Unions can prevent it happening elsewhere if they stay united and staunchly independent of the Labour government. The setbacks also show why unions must push to repeal the harsh anti-strike laws in Labour's Employment Relations Act. Two main unions represented Air NZ ground staff – the Engineers Union (EPMU) and the Service & Food Workers Union (SFWU). News of the planned cuts broke late last year, just before the Labour Party's annual conference. "I said it from the outset", said SFWU Northern Region secretary Jill Ovens, "the only way we were going to stop this was if unions stood together". The SFWU and EPMU did talk about a joint public campaign to put pressure on the government to stop the outsourcing. "We had to take the campaign to the streets, to pressure the government", said Jill. "But the EPMU weren't prepared to do that." An opinion piece on the Air NZ dispute in the April issue of Workers Charter has sadly proved correct. Our headline read, "when unions feud, the employer wins". The Council of Trade Unions (CTU) is now sponsoring mediation between the two unions to heal the rift. Meanwhile, the CTU's biennial conference in October also launched a new political strategy, including calls for changes to the Employment Relations Act (ERA) to improve workers' rights. This must be broadened to include restoring workers' freedom to strike. Under the ERA, all strikes are illegal unless they're over the terms of a collective agreement, after it's expired, or over an urgent health and safety risk. A secret memo to the Air NZ board explained how managers wanted to use Labour's anti-strike laws to make the cuts. It said, "The intent is to deliver the bulk of the programme under the protection of employees being under contract and therefore unable to strike". Citing this memo, both Jill Ovens and EPMU national secretary Andrew Little have publicly called for changes to the ERA giving workers the right to strike before the expiry of their collective. That demand has to be taken up by the whole union movement. The widespread public concern over the recent police terror raids was seen in Lower Hutt on 28 November. 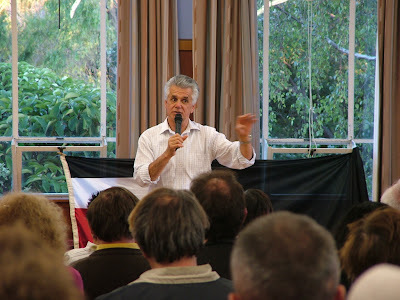 A public meeting organised by email at just a week’s notice drew more than 80 people to hear Maori lawyer Moana Jackson. It was the biggest left wing political meeting in the Hutt Valley in a long while. Jackson spoke about the raids, what was behind them and – in response to questions from the floor – what people can do to build opposition. Just three weeks earlier, he had resigned as a Patron of the Police College in protest at the police abuses of human rights. Jackson said he couldn’t tell all he knew because many details are suppressed, but he gave some examples of abuses which had already been made public. “The raid was called Operation 8 because there were seven other operations going on at the same time”, he said. 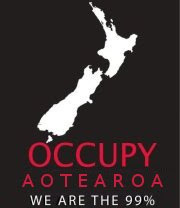 Over 400 groups – mainly Maori – were under surveillance. On October 15, they raided over 60 properties around the country, and made 17 arrests. The main focus, however, was the Ruatoki. “There, police stopped innocent people at gunpoint, made them get out of their cars and hold a number, and took their photograph. Now the police are not allowed to do that”, he said. They surrounded one house and told the occupants to come out with their hands up. A woman and her children came out. “The mother was spread-eagled, face down on the ground”, said Jackson. “When the children started to cry, they were marched away and locked in a wood shed, for hours. The children were all under eight. “They were not allowed food. They were not allowed to go to the toilet. The younger ones wet themselves. The girls were searched by male police officers. Jackson explained how the operation reopened painful historical wounds for Maori. “In 1863, there was a law passed called the Suppression of Rebellion Act. Under that law, a number of individuals and iwi were labelled rebels. The basis for the October raids was the Terrorism Suppression Act, hastily passed by Labour in 2002 to stay on side with the US “war on terror”. Senior officers were posted on assignments to Washington and London, where they absorbed lessons from other law enforcement agencies. “The militarization of policing”, concluded Jackson, “is based more on demands from overseas than domestic realities”. Asked why Helen Clark endorsed the raids, he said he can’t read the prime minister’s mind, but commented that she does want to remain on side with America in the hope of a free trade deal. Jackson said legal action will be taken against the Crown as a result of the raids. People can support the legal campaign by explaining to others what really happened, in ways they feel comfortable. He believes that when most people hear the real story, and how it could happen to any activist group which dares to question the Crown, they will oppose the police actions, too. “The police had a complete disregard for the law which is supposed to govern their operations”, said Jackson. “When you give a coercive arm of the state such far reaching power, it creates corruption. “The prime minister also talked about terrorism in the Ureweras, and about napalm bombs. She not only breached sub judice, she also breached the convention that there should not be even a hint of political interference in the legal process. “If the state is prepared to break its own rules in that way, what other rules will it break in the name of fighting terrorism? “The militarization of policing starts a country on a slide towards undermining one set of rights, then another. What can be done to one, can be done to others. “It’s never been just a Tuhoe issue, or a Maori issue – though that’s what concerns me. Save the Workers Charter newspaper!